... the endless outpourings of new clubs and balls, and the companies that implore us to be bigger, better, faster, longer than ever before. Then there are the shoes that are lighter than 7 grammes of cocaine and so dazzlingly coloured you could distract your opponent mid-swing if you catch the light right... or just give him a couple of lines from your stash. How about the trousers/pants that resemble like last night's pizza (tasteless) or the multitude of inventions that leave you so utterly bemused that you have no idea what they're for... or even what sport you were thinking about playing. Some of these things I love; some I want to hurl into the depths. Going old school can be so comforting by comparison... and the Metropolitan Hickory Society have taken this to heart... the society embraces a time of etiquette, a time when victories led to a shake of hands and not a shake of fists, a time of simple, unadorned enjoyment. A couple of years ago, I had the pleasure of playing at The European Club with Ivan Morris and his friend Johan Lindeberg. Johan is a Swedish golf writer and, like Ivan, represented his country in his youth. 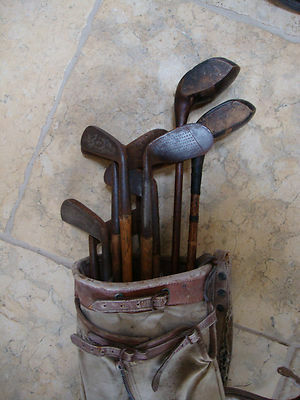 He arrived carrying an old bag of hickory clubs, wearing a flat cap and sporting a pair of plus fours. It was only when he started playing that I realised he was serious. He played beautiful golf, catching the ball in the middle of the club time and again. How do I know it was the middle of the club? Because there is only the tiniest of sweet spots on these clubs, and if you're off by a fraction the vibrations will spin up the shaft and reverberate around your body until your teeth fall out. It turns out he's not the only one! My friend, let's call him The Commissioner, recently sent me an email directing me to a video on YouTube. This showed the passion, madness and enjoyment behind the formation of the Metropolitan Hickory Society. They're based in New York and have already arranged tournaments. It is a growing movement! Indeed, my playing companion at The European, was playing at Hoylake the following day in a hickory world championship. Not that the boys of the Metropolitan Hickory Society will be aspiring to that any time soon. They're simply in it for the enjoyment. We... how shall I put this... normal, hi-tech and badly dressed golfers might regard it all as a bit eccentric, but The Commissioner and his friends have embraced traditionalism by turning back time. 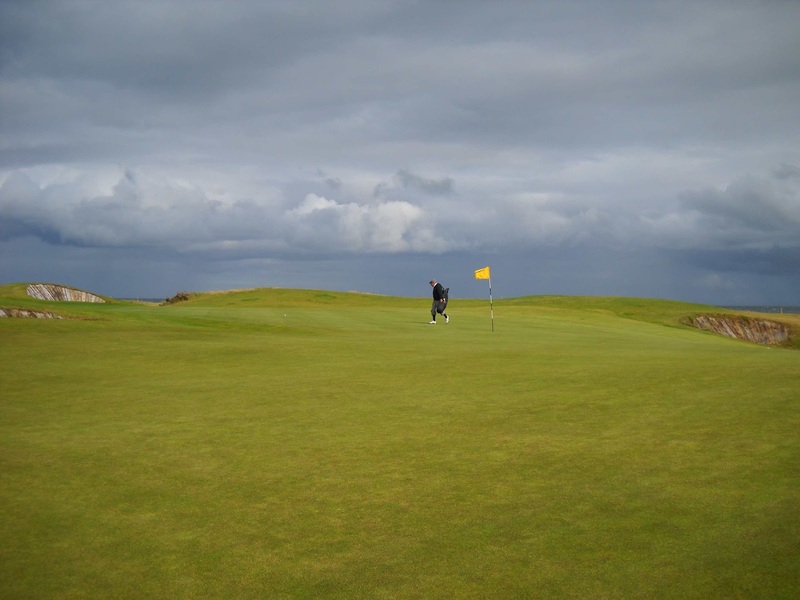 Watch the video... it looks like fun and it proves that while modern advances are supposed to make golf easier it doesn't always mean they are for the best.